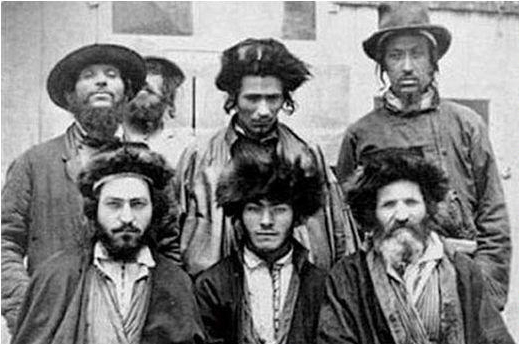 The leaders of the Bolshevik Revolution of 1917 were overwhelmingly Jewish. 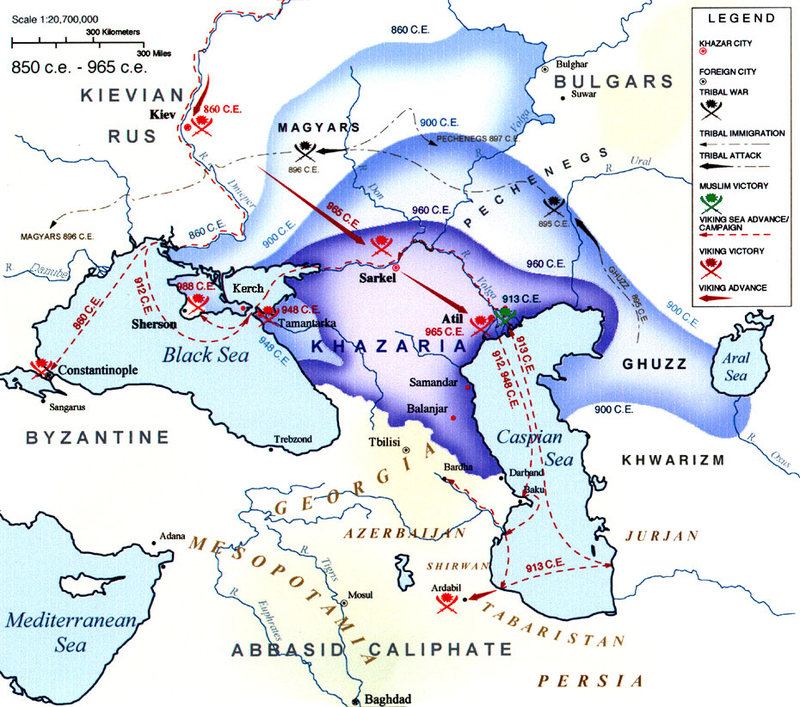 The Ashkenazim – descendants of the gentile Ashkenaz the Japhetite – are a resilient roaming Turkic people. They have a knack for reinventing themselves. They first surfaced in world annals as the notoriously barbaric Scythians or Sakadeans depending on regional phonetic. The word Scythian or Sakadean comes from the word Saka – with its Iranian verbal root Sak meaning to roam. 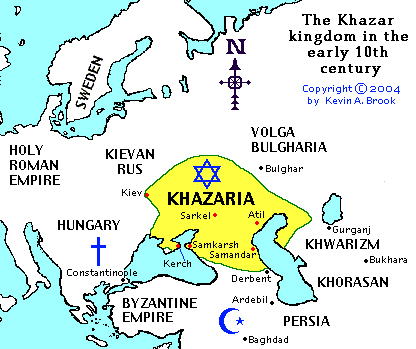 Later on the Ashkenazim reinvented themselves and settled a land they would call Khazaria – from the word Qasar with its Turkic root Qaz meaning to roam – following the break-up of the western Turkish Steppe Empire. Then the country converted en masse to Judaism sometime between 740 and 920 AD just so they could remain independent of the two competing empires of that time: Christianity and Islam. 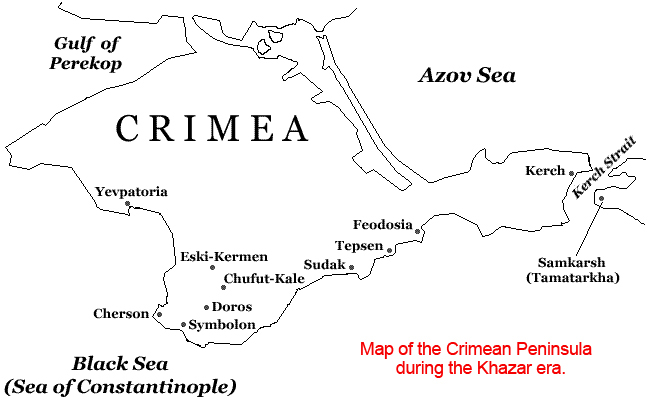 The Russian Sviatoslav of Kiev destroyed Khazaria around 1048 and absorbed it into what would become the Russian Empire where they were kept under tight control and oppressed. Something the Ashkenazim never forgave Russia. Biding their time, they nurtured their hatred and plotted their revenge along with a new reinvention. 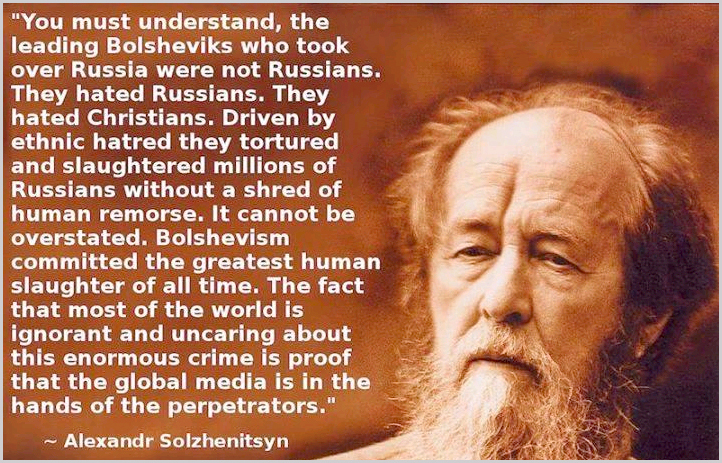 They became the power behind the heinous Bolsheviks who took over the Russian government in the 1910s, killed 66 million Christians including 200,000 members of the Christian clergy, and destroyed 40,000 churches according to famed Christian Russian writer Alexander Solzhenitsyn. The great majority of the Bolsheviks wereRussian Ashkenazi Jewssuch as Vladimir Lenin, Leon Trosky, Lev Kamenev, Gregory Zinoviev, Yakov Sverdlov, and Grigory Sokolnikov. They were financed by Ashkenazi bankers from New York and London such as Rothschild Bank and Jacob Schiff of Kuhn and Loeb & Co. who themselves championed the destructive ideology of the Ashkenazi Karl Marx and found it profitable to invest in Communism’s disastrous conquest of Russia while making a few bucks in the process by plundering the country via well placed agents who would later be known as ‘oligarchs‘. Russia’s entire Soviet Empire collapsed in 1991. 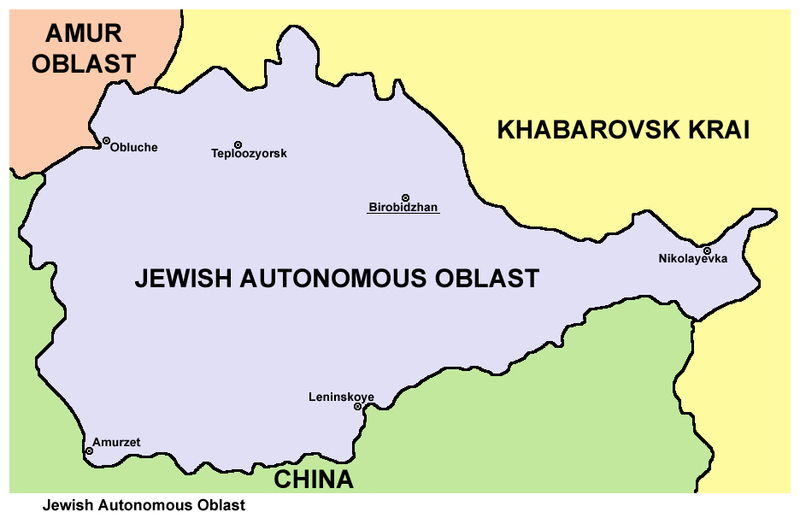 Thus, the Ashkenazim succeeded in bringing Russia to its knees. Today Russia is under fire for the conflict in Ukraine. A conflict that was started by the Ashkenazi Victoria Nuland in the US State Department with her neo-con Ashkenazi husband Robert Kagan working in the background via powerful organizations such as Project for a New American Century, the Brookings Institution, and Council on Foreign Relations. The Ashkenazi George Soros also contributed financially to the Ukrainian Maidan ‘Revolution’. In other words, the Ashkenazim are goading the Russian bear by wagging the American dog. The dog can’t really decline because AIPAC has it by the groin. And remember, AIPAC is controlled by powerful Ashkenazi-American business leaders. Their sole purpose is to destroy Russia once again by starting a fire in its underbelly, Ukraine. A fire they’re planning to spread into Russia proper via military and economic warfare. Why? Because Russia has had the gall to rise from its still warm Ashkenazi-induced ashes. And because Russia has had the temerity to arrest their well placed thieving agents known as ‘oligarchs’ with some fleeing the country. And because Russia has had the audacity to impede the American war on Syria which was orchestrated by AIPAC for the benefit of Israel. In the wake of World War 2, a great number reluctantly assimilated themselves throughout the Americas. However, the great majority migrated to Palestine where they created many terrorist groups such as the Irgun. They terrorized the Palestinian population, killed thousands upon thousands, and forced hundreds of thousands out of their homes and into neighboring Arab countries. Consequently, they stole Palestine and renamed it Israel in order to reinvent themselves as Hebrews and hoodwink gullible Christians in the West. 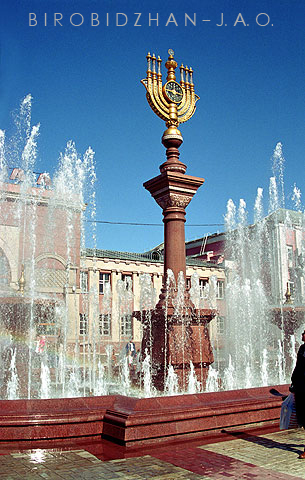 In their adoptive countries outside of Israel, including the US and Europe, the Ashkenazim have become financial and influential powerhouses, not because they’re Jews – at heart the majority of them are really not religious at all and could care less – but because they’re a shrewd people. They have learned much from their roaming throughout history, and they assimilate themselves fast and hard. They’re the ultimate Nomads. Now could it be that, after two successive ideological failures in the forms of Communism and the current slow motion destruction of Zionism in Israel, somewhere deep inside the minds of die-hard Ashkenazi leaders lies a plan for a new reinvention? Could it be that the Ashkenzim’s plan is to take back and re-settle their ancient Khazaria after the Downfall of Apartheid Israel? Is it why the duly elected President of Ukraine was forcibly removed in order to install a puppet government with a new Prime Minister named Arseniy Yatsenyuk who according to The Guardian is playing down his Jewish roots?